This Christmas [Bill Porter] decided to show his parents that those college dollars were well spent. He upgraded the custom lighthouse light which he originally designed in high school for their garden fountain. He even went so far as to craft some retail-worthy packaging for the gift. 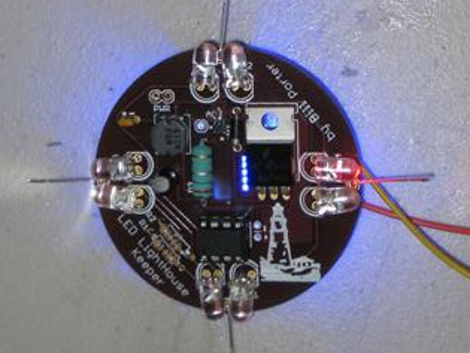 We think it’s a wonderful design, on a custom PCB and based around an ATtiny85. A real lighthouse has a spinning lens to aim the beam of light. When the lens sweeps across your viewpoint there is a sudden flash and he’s recreated that effect using PWM. Take a look at the video after the break and you’ll see what we mean. Also, during development he was plagued by a startup glitch which we got majorly sidetracked reading about. I guess that college degree was worth something. 30 min on SparkFun would have warranted the same knowledge needed. It’s well done though. I would like to see what this is actually going in. Should be very nice. 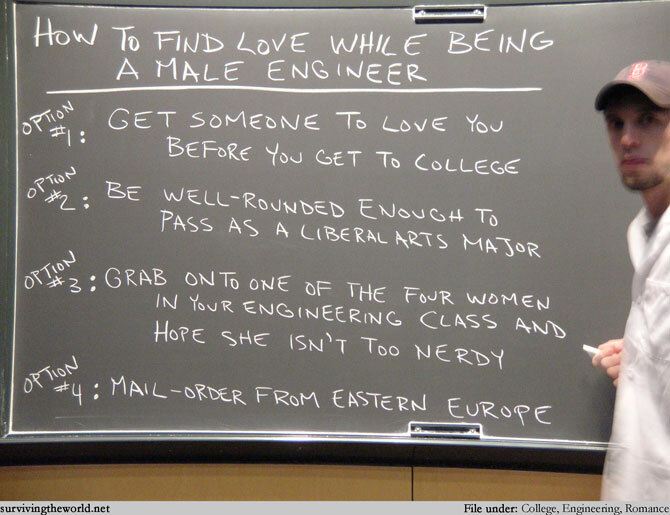 I know, why do people even GET college engineering degrees right? He’s got a girlfriend? there’s hope for us all! I dunno…option 4 looks pretty sweet…. Option #2, 5 years of marriage and “geek inside,” (one on the way). I added the source code to the post for those interested. Added videos and pics of it installed in the fountain.